Welcome the heat with A SUMMER OF LOVE BLOG HOP from The Romance Troupe! Six $50 Amazon or B&N Gift Cards will be awarded to randomly drawn participants/commenters of the hop. You MUST leave your name and email for your comment to qualify as an entry toward the grand prizes. Be sure to comment on ALL blog stops to increase your chances of being drawn as a winner. 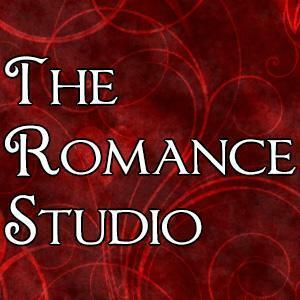 Find the list of blog stops here at The Romance Troupe! Welcome to Jami’s stop on the Summer of Love Blog hop train with awesome authors and The Romance Troupe. Since my latest book, SHADOW’S MOON just hit shelves, I thought I’d share a snippet with you all in an attempt to lure you in (wiggles eyebrows). You can never have too many good romances on your To Be Read pile! With that thought in mind, share your favorite couple below in the comments for a chance to win your pdf copy of SHADOW’S MOON to add to your reading pleasure. Don’t forget to include your email as you could be one of the five lucky winners of an Amazon Gift Card! Okay, onward to the next stop! Just click below and follow the trail of love through the hop! Good luck! This entry was posted in Blog Hops, Giveaway, Jami Gray, New Authors, Paranormal Romance, Romantic Suspense, Shadow's Moon, The Kyn, Urban Fantasy, Weekly Blog and tagged A Summer of Love Blog Hop, Giveaway, Jami Gray, Shadow's Moon, The Romance Troupe. Bookmark the permalink. My friend and I are always on the hunt for just these types of stories! 🙂 Thanks for posting the excerpt. See you around the blog hop. Yay! I’m so glad you found us, Angela. Happy hopping! Thanks, Tia. I must give my thanks to Kim Killion, she does an amazing job with my covers for The Kyn Kronicles. Ooohh, love Sherrilyn Kenyon’s books. I have to agree, Stacey, Zarek and Astrid are great, but I really enjoyed Acheron’s book, too. She needs to do one for Simi. My favorite couple is Cat and Bones from the Night Huntress series by Jeaniene Frost. Jeaniene has some great couples in her series. Thank you, Veronika for coming by! Enjoy the hop! I don’t have a favorite couple since I have yet to read the book. However, it was on my list to be read. Glad for the hop since it made me aware i better start reading it. I like the photo of the wolves. Thank you, Joye, for coming over. I’m so glad you swung by. Enjoy the hop! I don’t have a favorite couple ……yet. Look forward to reading your books. I love hops! Get to meet so many new authors this way. Thanks for participating. Thanks for stopping by, Kris. Enjoy the hop and good luck! I love Savich and Sherlock from the FBI series by Catherine Coulter. Loved Catherine Coulter, and Iris Johansen. Thank you, Kelly for coming over, enjoy the hop and best of luck! Thanks for sharing, It sounds like a great read. Thanks, Melissa! So glad you could swing by! Enjoy the rest of the hop and new authors! Kate and Curran from the Kate Daniels series by Ilona Andrews. 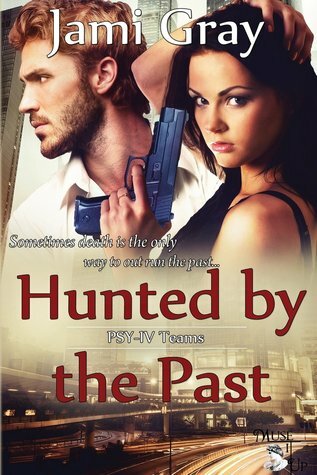 Love Ilona’s new series. Did you see, she has a new one coming in October? Looks very cool. Thanks, Anne for stopping in and have fun with the rest of the hop! Thanks for the chance! This is a whole new to me series and going on my wish list! Thanks for sharing! Aw, thank you, Tobi! So excited to tempt a new reader. Glad you could stop by. Enjoy the hop and may you find many more titles to add to your TBR list! I love shifter stories. I’ll be adding your book to my wishlist. Thank you H.B. =0) Have you tried Cynthia Eden’s new Phoenix series? Great shifter stories. Enjoy the hop and have tons of fun! Hi Deborah, will have to go write this one down. Woo hop, new series to explore. Thank you for coming by and happy hopping! Love JR, finally getting to sit down and read The King. Thank you for coming over and stopping by! Good luck with the hop! Warrick and Xander are a wonderful couple. Another favorite is Kate and Curran, love them. 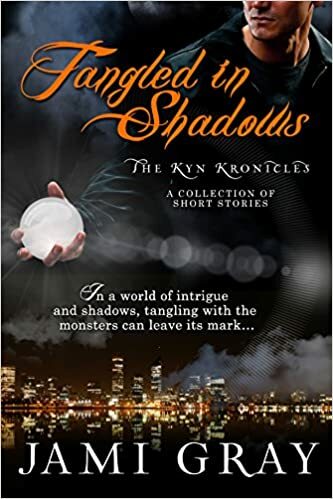 Love the Kyn Kronicles series, it is a favorite. Thanks, Stephanie, so glad you have fun with those two. I’m so honored to make a favorite list for a reader. Love Kate and Curran, can’t wait for the next book or her new series coming in the fall. Happy hopping and best of luck! Hey Brandi, thank you for coming over and adding another new series for me (and others) to discover. I hope you’re having a great time on the hop and wish you the best of luck! My favorite couple is Bones and Cat by Jeaniene Frost! Love Jeaniene’s books, she has a great cast of characters, you can’t go wrong with her. Thank you, Lynne, for stopping in and best of luck on the hop! 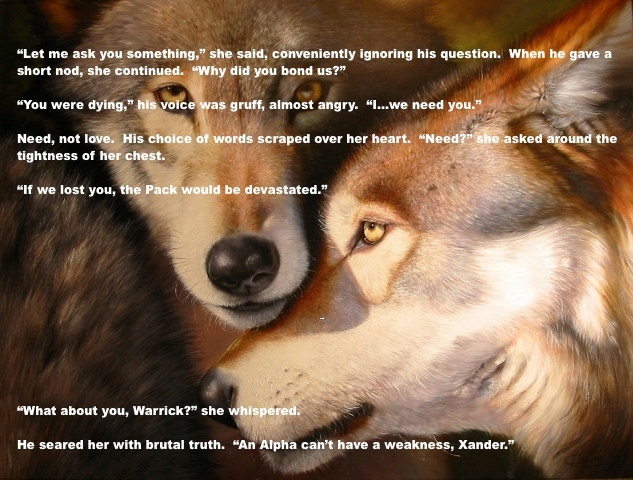 I love Charles and Anna from the Alpha and Omega series by Patricia Briggs. Love Briggs’s Alpha and Omega series, so I’m right there with you, Vanessa. Thank you for coming over! Happy hopping! Yep, the thief and the cop, they make a great couple. There’s magic there to last over twenty books. Thanks, Wanda, for coming over! Happy hopping. I don’t have a favorite coupon just yet. Janelle and Daemon from Anne Bishop’s Black Jewels Trilogy, Eve and Roarke from J.D. Robb’s In Death series, Kate & Curran from Ilona Andrews’ Kate Daniels series and Terrible and Chess from Stacia Kane’s Downside Ghosts series. Love Anne Bishop. Have you read her Written in Red series yet, Elizabeth? You’ll find a new couple to stalk…errr…follow. Thank you for coming over and happy hopping! I love Katra & Sin from Devil May Cry by Sherrilyn Kenyon. Hi Jan! Yep, Sherrilyn has some truly heart stopping couples running around her worlds. Thank you for coming and happy hopping! What an exciting book! 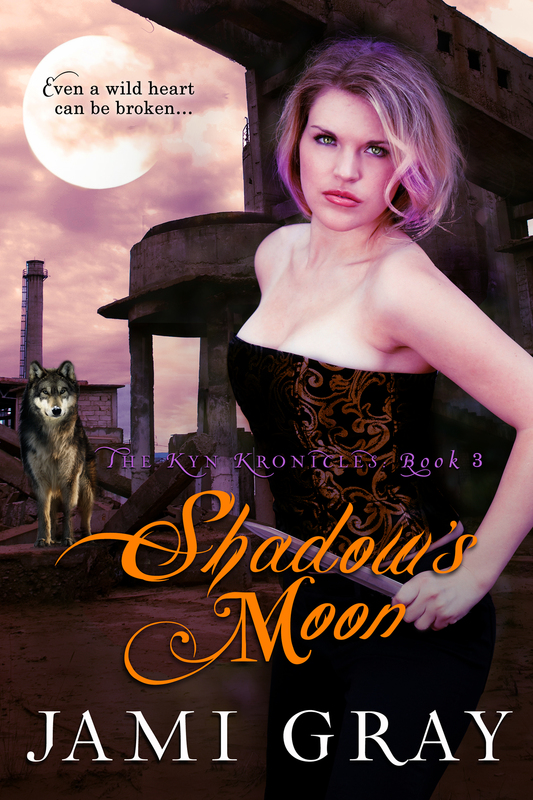 Love shifter books and have put Shadow’s Moon on my TBR list. My favorite couple is Kate and Curran from the Kate Daniels series by Ilona Andrews. Thanks, Bonnie! Kate and Curran are right in there with a few others. So hard to pick a “favorite”, so many to choose from! Thank you for coming and happy hopping! Congratulations to DEBORAH CLOSE! You’re Jami’s randomly chosen winner of SHADOW’S MOON. Please check your electronic mailbox for delivery! Again, guys, thank you so much for making this such a fun hop!